The newborn Chez Papa Paris 12 is pleased to open its doors to make you discover the best of southwestern cuisine. In the restaurant Chez Papa Paris 12, is above all a festive atmosphere and a warm welcome awaiting you. Our restaurant offers dishes in true southwestern tradition and no doubt, you will enjoy! 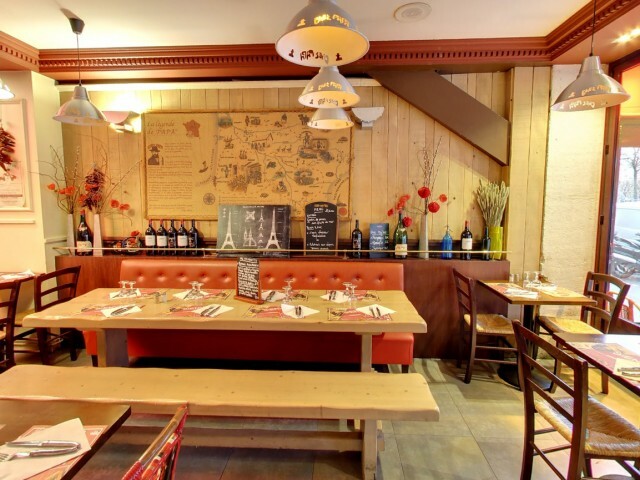 Near Subway, Chez Papa Paris 12 is the heart of the popular Bastille district. Easy access (parking nearby), the renowned cuisine of the southwest has never been so close to you. Our restaurant has 105 seats inside and a terrace of 50 seats ideally located opposite the port of Arsenal. The whole team of the restaurant Chez Papa Paris 12 will be happy to receive you for a journey into the heart of the Southwest.